It's been a while since I've posted a Nail of the Day so thought I'd share this simple look today. 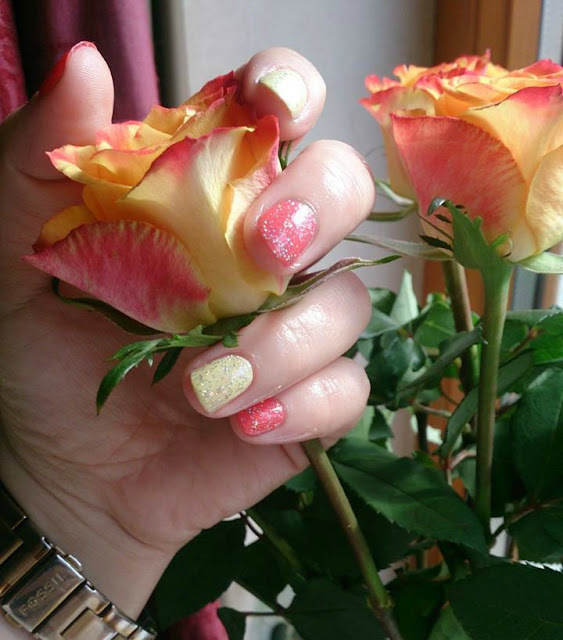 Bright and sunny and more than a little inspired by my bargainous Lidl roses, this mani is stoopidly simple but I've had so many compliments it's silly. 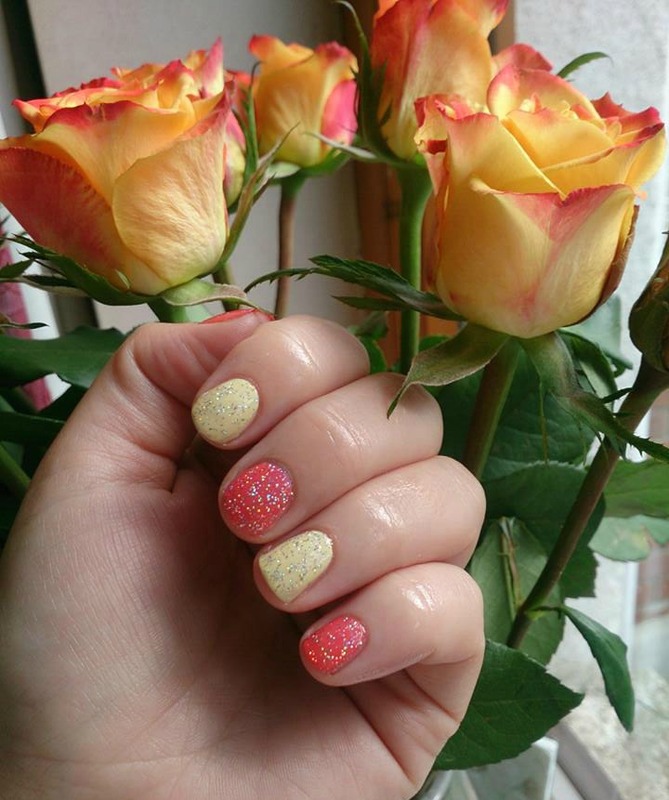 Essie's Sunday Funday is a bright coral from my favourite of this Summers collections and Go Bananas is Sally Hansens pastel lemon from the gorgeous limited edition Exotica range. Both topped with Inglot's stunning Holo glitter: 201. Of course these colours would make a stunning sponged ombre mani too but, when in a rush, any creme bright will complement creme pastels and give you a lovely effect. Go forth and mix/match from your stash, yo! What's on your nails today then? Love it! So sugary sweet!